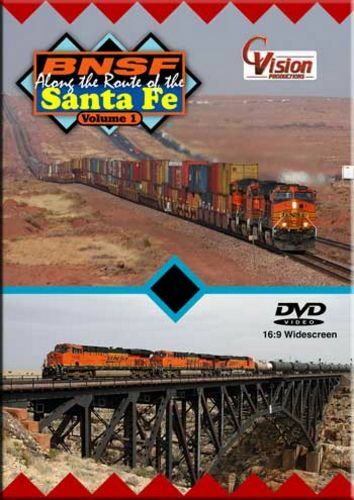 Journey along with C. Vision Productions as we explore the former Santa Fe main line in Arizona. Videographer Kenn Oberneder captures the action on this super busy transcontinental main line from Holbrook to Crookton, Arizona. Along the way, we also capture an Alco powered train on the Apache Railroad south of Holbrook. From stunning scenery in the high desert of eastern Arizona to the mountain terrain in the Flagstaff region, You will love viewing the spectacular backdrops for numerous BNSF trains. You will also see fast intermodal trains and general freights crossing the impressive Canyon Diablo Bridge. 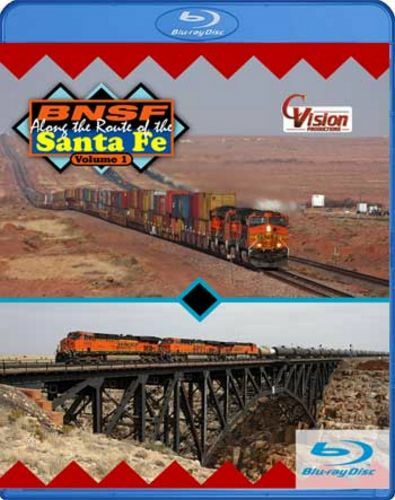 Don't miss this C. Vision Productions program as it showcases one of the busiest main lines in the country in �BNSF, Along the Route of the Santa Fe, Volume 1�!